When I was younger, my family and I would follow a very familiar weekly/fortnightly routine. With me and my three sisters in tow, we would make sure we would all be ready to leave the house bright and early, to arrive in Chinatown around 11am. We would head straight for New World and if we had arrived on time, we would head straight to one of the tables on one of the three floors. Any time after 12 and queues would form and you would be handed a little brightly coloured raffle ticket. My father would pass me the ticket and I would be the one to get us our table when our number was called. After we had eaten, we would stroll down Gerrard street, to either Loon Fung or New Moon supermarket to stock up on provisions for the week ahead. If we had behaved, we would be bought white rabbit sweets and haw flakes for the long journey home. As you can expect, I look back fondly at those trips and reminisce what it was like to be that kid. Really happy times. Sadly New World hasn't really stood the test of time. 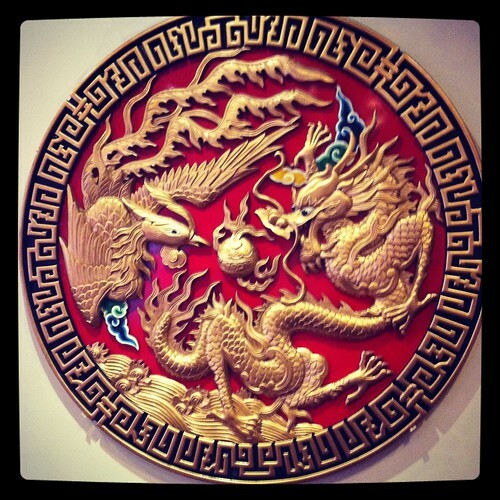 We stopped making those trips into Chinatown, a consequence of the birds flying the nest, and any family meetups are at the more south friendly Dragon Castle. I went back once a few years ago and the food was poor. The fried goods were extremely greasy and left a slick down your throat, whilst the dumplings were devoid of flavour and were basically balls of stodge. It was pretty disappointing on that occasion, but I wasn't willing to just give up on it. I recently returned for what I hoped wasn't the last time with a friend, and thankfully it wasn't terrible. The trolleys were still out in force. It enables you to check out the goods before you try, and you get served as soon as you sit down, great stuff. The food isn't great, but it was far from bad. The dumplings were heavy but actually tasted of more than just MSG. Old favourites of roast pork went down well, and they are one of the few places I know that sells affordable and decent plates of suckling pig. 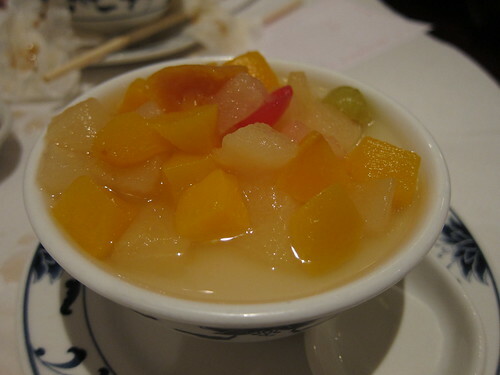 The best thing for me was the fact that it still sold almond beancurd with fruit cocktail, a dessert which seems to have faded out of existence across other dim sum restaurants, and one I frankly cannot get enough of. Nothing like ending a trip down memory lane on a rather enjoyable high. New World is one of those places which will always hold a fond place in my heart, even if it isn't my number one dim sum destination. It's not terrible, just rather average which is about the best endorsement I can give it. For nostalgia, I'll probably just grab a bag of haw flakes next time. Growing up, we had close family friends nearby who are Chinese Malay, and they would always have white rabbit sweets in the house, for adults and kids alike! Awwwhh lovely story. I love haw flakes! So good. Some conversations later and I'd forgotten that you were the obvious person to ask! 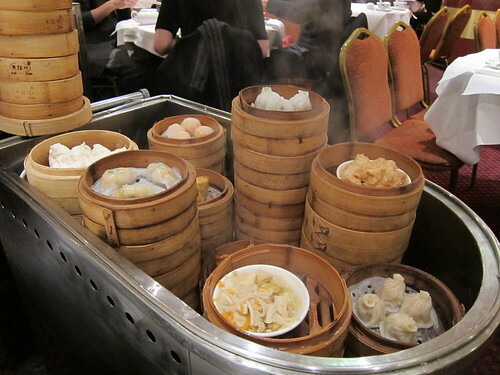 I'd been taken to task for referring to Cantonese food (as part of a very stretched boy band metaphor) as gloopy and ubiquitous on twitter and www.grumblinggourmet.com.. Where would you recommend for good mid range Cantonese (rather than specifically dim sum) food in London?